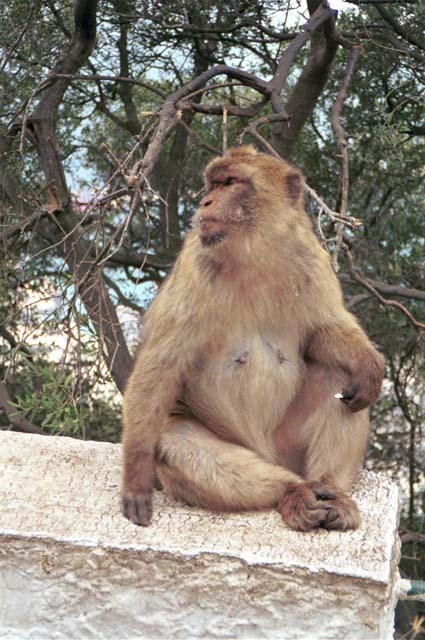 Barbary apes have been on Gibraltar for centuries. 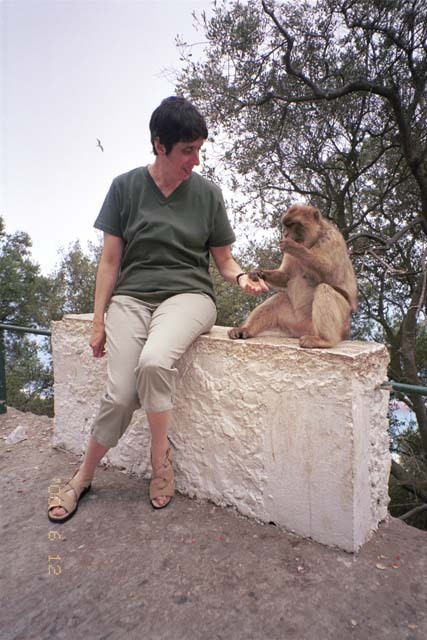 It is said that as long as the Barbary apes remain, Gibraltar will be British. We had some sunflower seeds that these fellows liked just fine. This lady is enjoying her sunflower seeds. 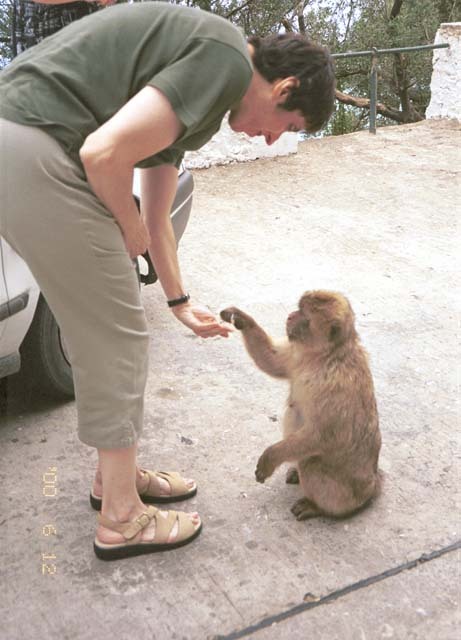 Lynne has her eating out of her hand. 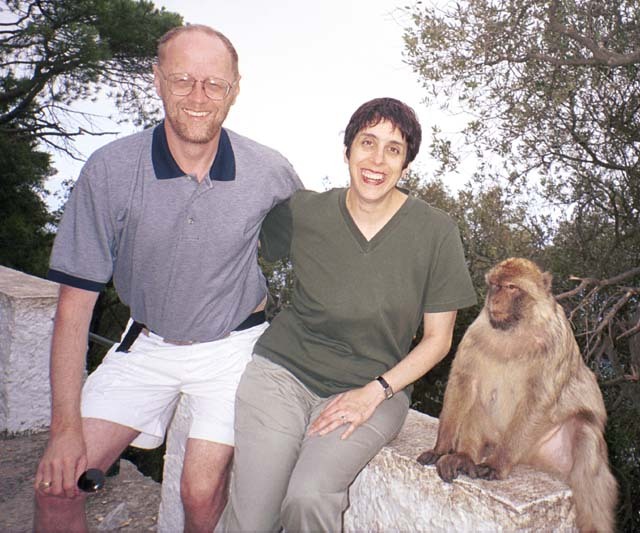 We pose for a family portrait with the queen of the apes. After our cordial encounters, we came to these signs. Who would have known. These signs must have been written by the lawyers.